If you haven’t read Carole P. Roman’s “If You Were Me and Lived In…” series yet, you’re missing out! We don’t have the entire set (yet), but my kids and I have read several of the books in the collection. She comes up with very interesting facts about the different countries represented in the series, some of which are surprises even to mom and dad! Her first book in this series, If You Were Me and Lived In…Mexico has won numerous awards and accolades across the country and world. This series has now expanded to 16 books. Disclosure: This giveaway is arranged by Away We Go Media on behalf of Carole P. Roman whom are responsible for prize shipment. Dividing by Zero was asked to promote this giveaway and has received no compensation for this post. All entries will be verified. Winner(s) will be drawn via Rafflecopter.com. 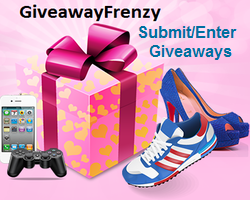 Winner(s) must respond to an email sent to them within 48 hours or forfeit their prize. Only one prize per household. Note: Prizes make take up to 4 weeks to receive. This giveaway begins 12/03/15 12am CST.